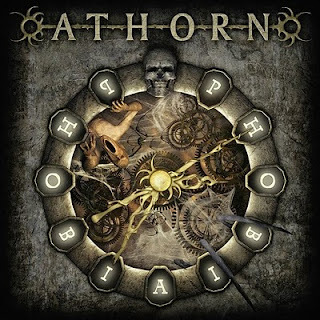 Hall of the Mountain King: Review: Athorn, "Phobia"
Phobia, the debut album from Germany’s Athorn, seems to be right up my alley. In the vein of a band like Kiuas, one of my favorite discoveries of the last 10 years or so, Athorn blends power metal melodics with thrash and groove and maybe just a little hint of death here and there. I love the combination, and while it’s not a perfect melding, Phobia is a very promising debut. In the band’s heavier moments, they sound a lot like Lamb of God, particularly on second track “Emperor of Ruins.” There’s the chunky down-tuned riffing, and vocalist Carsten Frank doing his best Randy Blythe impression. But in the more majestic moments, there’s much that will win over the power and melodic metal crowd. “Humanize the Demon” is possibly the best example of that side of the band, with Frank showing a commanding presence behind the mic and proving that he’s a multitalented vocalist with a nice range. At his more melodic, he can hang with the likes of Warrel Dane, but he’s got a nice roar, too. The song also has one of the more memorable choruses on the record. Typically with bands like this, I prefer one style over the other, but I can’t figure out which side of Athorn I like best. The more dark and melodic Iced Earth influenced sounds of the title track impress me, as do the harsher tunes like “Emperor of Ruins” or album closer “Schizophrenia.” I like the more blended numbers, too, like “After the End,” which opens with some interesting tapped guitar work and moves into a heavier mode, reminiscent again of Kiuas, or “A Matter of Time,” which reminds me a bit of Soilwork. Honestly, I pretty much like the whole record. Frank is really the centerpiece of the band, as he impresses throughout with the power of his voice and his ability to run effortlessly through various styles and moods. He’s very adaptive, and can deliver exactly what the song needs in just about any situation. Guitarist Stefan Schonebeck does occasionally steal the show from Frank though as he shreds with gleeful abandon on solos that would make Jeff Loomis proud. The production is great, and Phobia is, overall, a very tight and seasoned sounding project for a debut record. This record won’t likely quite make my top 10 for the year since there are a lot of really good records in front of it, but it puts Athorn firmly on my radar as a band to watch. 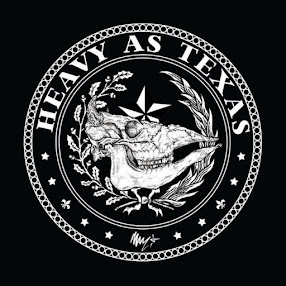 If you like band that meld heavy and melodic seamlessly, they should be on yours as well.